The medium price of a flight from San Diego to Venice is $1,502. For a SAN-VCE flight passangers may get about 14 thousand award miles. A flight from San Diego to Venice will be around $1,453 at the time of off season whilst it rises to $1,528 in high season. You might want to know that the lowest price ever found for the same route was $883, it was a Air France flight discovered by our users on Expedia. However the cheapest airfare discovered in the last twelve months is great too, just $900 r/t for a United Airlines flight found for November 2012 on Airfare.com. 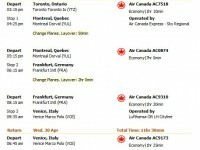 High season is normally June to September in Venice therefore airfares might become truly costly around that time. In case you are looking for better ticket rates, we recommend you fly during April, May and October, over low season, because at that time prices can be more affordable. We believe that altogether the nicest period to visit the city from San Diego is between low and high season, in November to March. The longest potential flight distance between San Diego and Venice is exactly 8,193 miles. 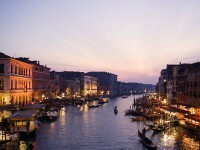 Venice is served by 2 airports, that are Venice Marco Polo Airport and Treviso Airport. San Diego is linked to 47 different airports altogether. The shortest flight starting from Venice is only 187 miles long and arrives to Munich. The longest flight arriving to Venice Marco Polo is 4,144 miles long and starts from John F. Kennedy International, New York.